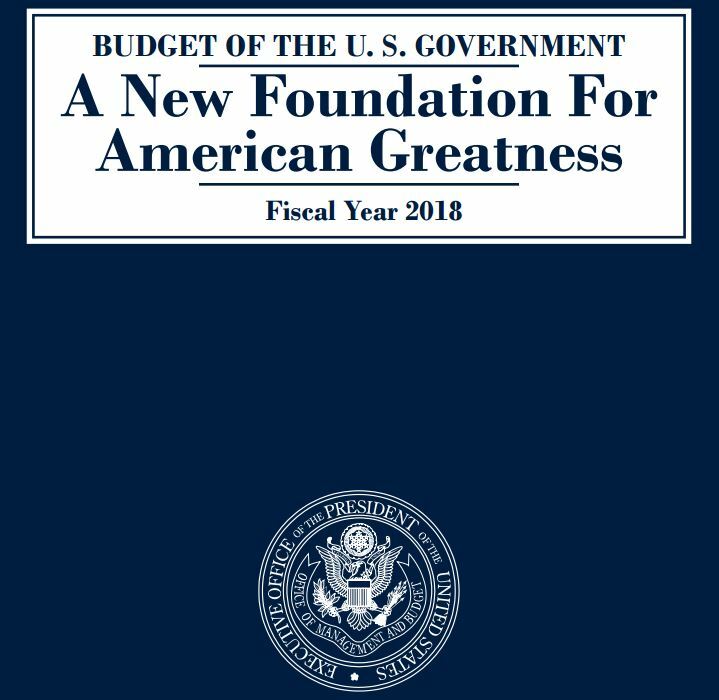 Before diving into the more interesting numbers in President Trump’s first official budget proposal, let’s ask a budget-history trivia question: When was the last time that any U.S. president proposed a federal budget that would be balanced within 10 years? If you guessed President George W. Bush in 2007, you’re right! Now, suppose you ask: When was the last time that a U.S. president proposed and delivered a balanced budget? For the answer, you would have to go back to 2000, when President William J. Clinton’s final federal budget proposal for the 2001 fiscal year produced a budget surplus. It’s important to consider these two dates because it’s been nearly 10 years since a U.S. president even proposed a budget that would reduce the government’s annual spending deficit to zero within a ten-year period, and it’s been four whole presidential terms since a U.S. president’s budget actually delivered a surplus to the U.S. Treasury. That makes zero the most interesting and important number in President Trump’s first budget. Sure, he gets there through the same kind of questionable accounting and optimistic assumptions that characterizes virtually all budget proposals coming out of Washington, D.C. But when you consider that President Obama’s 2017 budget was projected to leave the federal government over $9.4 trillion more in the hole after 10 years, with ever escalating budget deficits setting in after 2018, President Trump’s first budget proposal represents a notable step toward reversing what would otherwise be the government’s deteriorating fiscal condition, even with its apparent deficiencies. The next most interesting number in President Trump’s first budget is 66. That’s the number of federal government programs that the president has targeted to be eliminated. 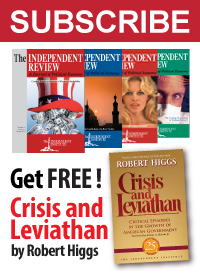 Although getting rid of these programs would reduce the annual spending of the U.S. government by just $26.7 billion out of an annual budget of more than $4 trillion, these are exactly the kind of programs that should be eliminated, because what they do is either unnecessary or is duplicated more effectively by other federal spending programs. That they have persisted so long after their useful contributions to the American people have diminished is attributable to the power games of Washington, D.C., where they have largely become vehicles for channeling money to the parochial pet interests and campaign contributors of the politicians who champion them to demonstrate their power and influence. The third number of interest in President Trump’s first budget proposal is $1.7 trillion. That is the amount by which the U.S. government’s total spending will have increased above 2017’s projected spending level of $4.1 trillion to reach its projected level of $5.7 trillion in 2027. To get there, the U.S. government’s spending will increase at an average annual rate of 3.5 percent over the next decade. To put that number into historical context, in the ten preceding years from 2007 to 2017, federal spending rose from $2.7 trillion to $4.1 trillion, which works out to be an average annual increase of 4.1 percent. President Trump’s proposed pace for increasing federal government spending is just 0.6 percent slower than that! 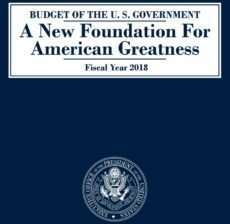 Now, if you want to understand why so many politicians and political pundits are howling about President Trump’s budget “cuts”, President Barack Obama’s final budget proposal would have had the U.S. government’s spending increase from $4.0 trillion in 2016 to $6.5 trillion in 2026 for an average annual increase of 5 percent, an unsustainable acceleration of spending growth that the Congressional Budget Office was already projecting would cause the U.S. government’s fiscal situation to significantly worsen. Apparently, a lot of politicians and pundits either don’t think that’s much of a problem or don’t believe that they would be on the hook for causing that problem. But that’s typical Washington, D.C. thinking for you.